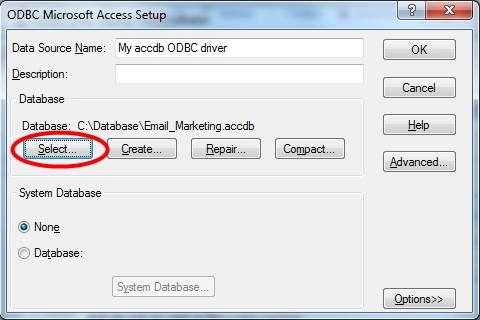 If you have a 64bit version of Microsoft Office 2007 or 2010 installed on your PC and you want to connect a GroupMail Group to an Access Database that uses the .accdb extension then you need to install the 32bit version of the Microsoft Access ODBC drivers as explained in the steps below. 3) Once installation has completed, open the Windows Control Panel and then open “Administrative Tools“. Open “Data Sources (ODBC)“. 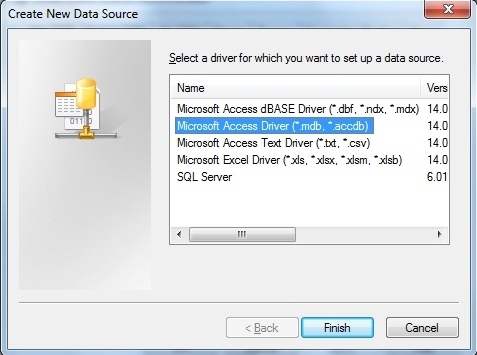 Click on the “Add” button and select the “Microsoft Access Driver (*.mdb, *.accdb)” option then click “Finish“. 4) Give your Data Source a name and then click on the “Select” button. Browse to where your .accdb Access database file is stored and select it. 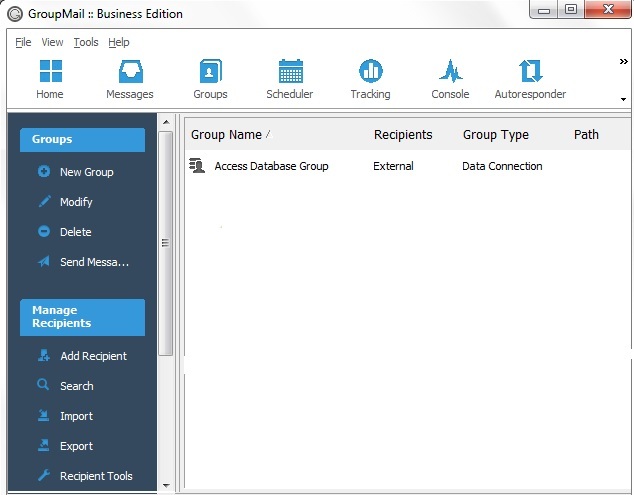 Click OK.
You have now added a data source for your .accdb Access Database so the next step is to link a GroupMail Group to it. 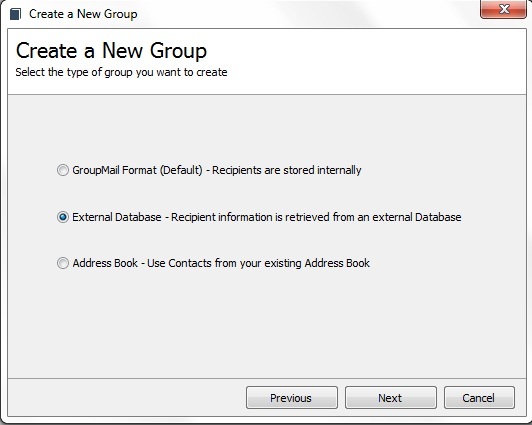 5) Open GroupMail and create a new Group. 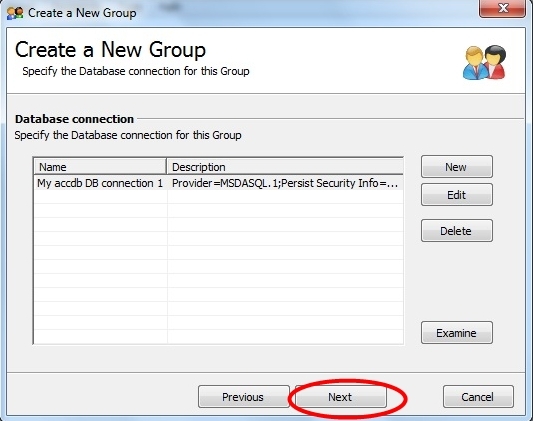 Choose the Group type as “External Database” and click OK.
6) Create a new Database connection by clicking on the “New” button. 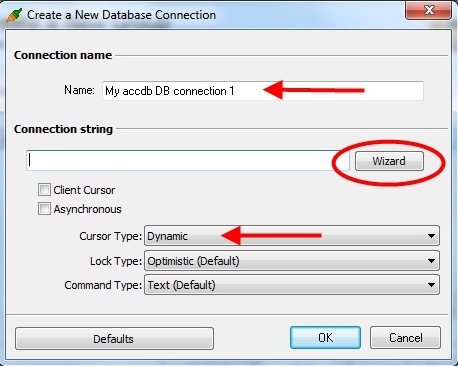 7) Give your connection a name, change the “Cursor Type” to Dynamic. Now click on the “Wizard” button. 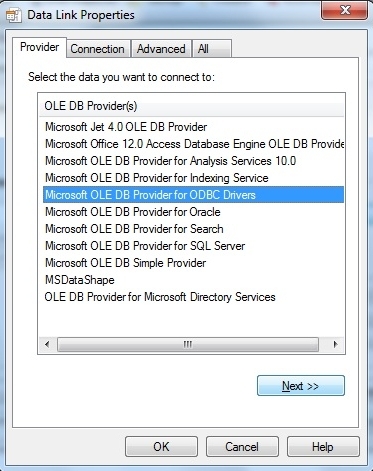 8) Choose “Microsoft OLE DB Provider for ODBC Drivers” can click on the “Next” button. 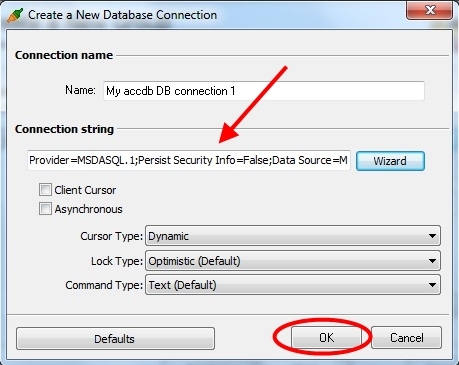 9) Click on the drop down list for the data source name and choose the one you created. 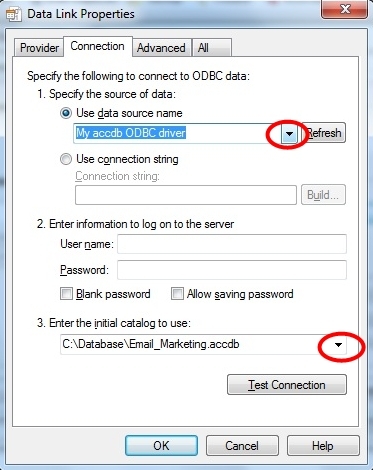 At the botton of that window, click the drop down list there and choose the path to your .accdb Access Database file. You can test the connection by click on the “Test Connection” button. 10) You will see the “Connection string” field populated so click the “OK” button. 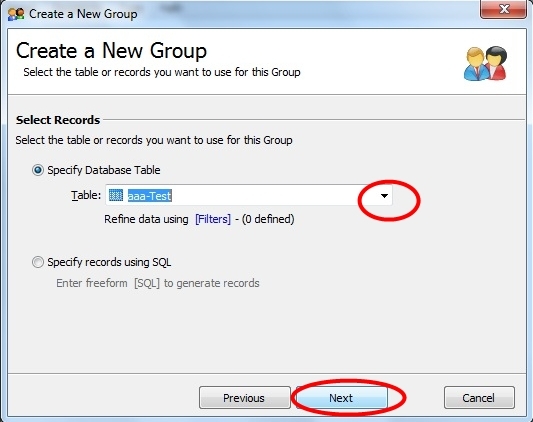 12) Choose the table in your database that contains the recipient information you want if you have multiple tables and then click on the “Next” button. 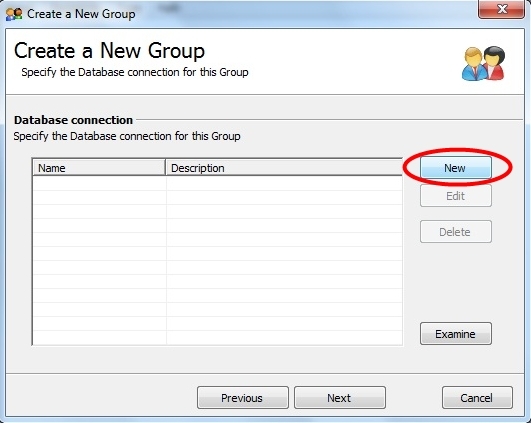 13) Give your new Group a name so you will recognise it when you see it in GroupMail and then click on the “Create” button. 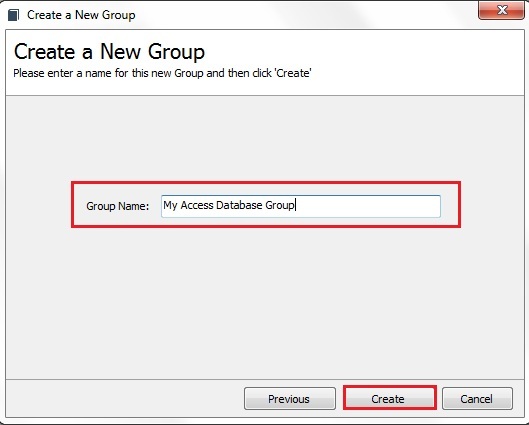 14) You now have a new Group in GroupMail connecting to your Microsoft Access (.accdb) file.